So are you bored of your phone? And planning to take a new one that has all the features you need and want with a system that supports it without getting hanged up in between. 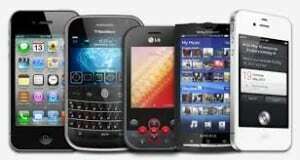 These Top Mobile Phones India are there with the perfect combination of performance and features. Samsung Galaxy S6 is just not all about the new design that categorizes it as a new phone, but also this has been the best performer leaving untouched by any other flagship this year. It has a sleek metal design with gorilla glass, ensuring that it is tough and smart at the same time. The screen size is 5.1 inches of Super Amoled Display with Quad HD. The resolution is 1440 X 2560 pixels. The advanced multitasking is supported by a RAM of 3GB with an octa core processor. The primary camera is of 16MP along with LED flash, whereas the secondary camera is 5MP. The battery life is appreciable of 2550mAH. Also, one of the biggest features introduced is the fingerprint scanner. This is one of the biggest facts, no matter if you want or if you don’t, you can’t ignore an apple product or the addition it brings to the market. Although this version of the iPhone doesn’t appeal that much like its predecessors, but still it boasts of an incredible design and this phone is all about performance. Among all iPhones it is credited as the best performance vise with the best camera ever present in any phone, sharp display and comforting brightness and easy to use, virus free device that almost never hangs. The version of the processor is iOS 8 and the screen is 4.7 inches and the primary camera 8MP. Asus Zenfone 2 phone is all that you need and want in its price and you won’t feel you made your penny gin vain. There have been some radical changes in the look of this phone and the pronounced curve on the phone that one can see. The phone has a 5.5 inch display. It has a resolution of 1080×1920 pixels. The key specifications of the phone are the availability of both 16GB and 32GB ROM that it offers and 4GB RAM with 2.3GHz Processor. The primary camera has 13MP with flash and the secondary camera is 5MP. Back the days when HTC started, still the craze holds for the HTC phones, but this mobile set has been a bit of a disappointment for its users. The biggest factor that one may be attracted towards buying this model would be its look and the build of the phone, but the performance is not at par with its competitors. The screen size is 5.2inches with a screen resolution of 1440x2560pixels. The rear camera is of 20MP and the front camera is 4MP. With the name of Google in it and the performance and demand of Motorola these days in the market, the Nexus 6 is having a new craze among the technical enthusiasts. It has a crisp display and boasts of top of the line performance. It is just not a phone, but a Phablet owing to its size as 5.96 inches. It has a primary camera of 13MP and secondary camera of 5MP. Thus, we can call this set of phones as one of the most revolutionized phones of the year with the latest features and the trend seen in India.